Each year, the Harvey Penick Award for Excellence in the Game of Life is presented to a prominent leader whose life emulates that of the first recipient, golf legend, Harvey Penick. Since 1992, the Harvey Penick Award has been presented annually to someone whose leadership exemplifies Excellence in the Game of Life, and whose good works inspire lasting change in Central Texas. Previous honorees include Lady Bird Johnson, Ben Crenshaw, Susan and Michael Dell, and Susan and Gary Farmer. Harvey Penick instructed pro and amateur golfers in Austin for seven decades and coached the University of Texas golf team for 33 years. Hall of Fame golfers like Tom Kite, Ben Crenshaw, Mickey Wright, Betsy Rawls, Kathy Whitworth, and many others credited their success to his memorable insights. Penick was honored in 1989 with the PGA of America Teacher of the Year award, and Harvey Penick’s Little Red Book remains the highest selling golf book of all time. In 1992, hundreds of people inspired by Harvey Penick honored him with the first Harvey Penick Award for Excellence in the Game of Life at a dinner benefiting Caritas of Austin. 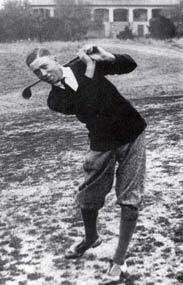 Penick was later inducted into the World Golf Hall of Fame in 2002, seven years after his death. Today, Caritas of Austin continues the tradition of presenting the Harvey Penick Award at our annual Words of Hope Dinner. Honorees have demonstrated a lifetime of excellence in their field of endeavor. These are the community leaders, mentors, stewards of community trust, and champions of the greater good who have left a meaningful legacy in Austin, Texas.